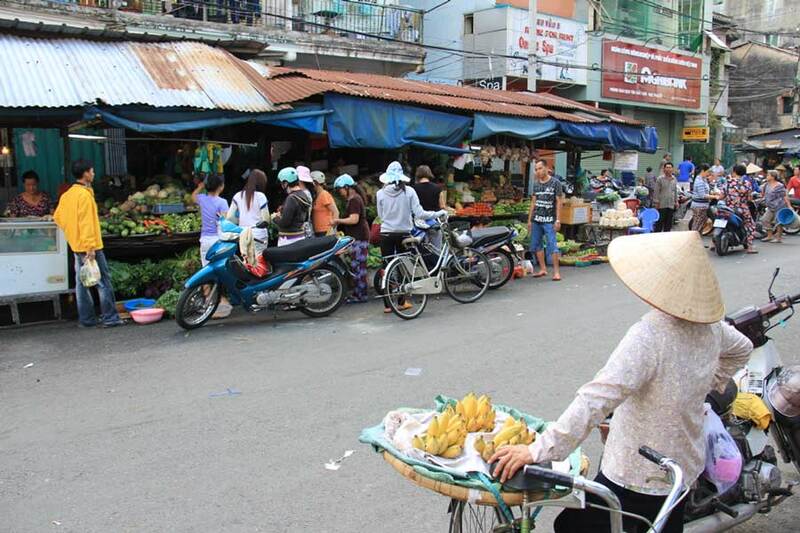 On our first trip to Vietnam, Sara and I loved it so much that we decided to move there. It’s been 3 weeks and we have finally found a place to live. We move into our first Vietnamese home tomorrow. Finding a house for rent in Vietnam was a difficult task, but we did it. Here’s how. If you are in Hanoi or Ho Chi Minh City there are a few services for expats that will help you find a place to live. They’re usually nice houses or apartments that are furnished and have western amenities. However, if you know where to look it’s possible to find a rental for much cheaper, and the adventure in finding it will make it that much more special. Can Tho, Vietnam and Beyond. 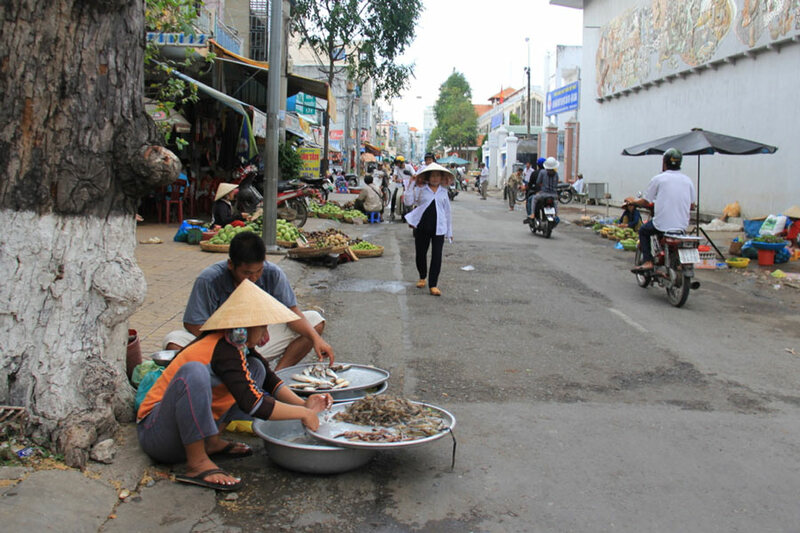 Along the market street in Can Tho. 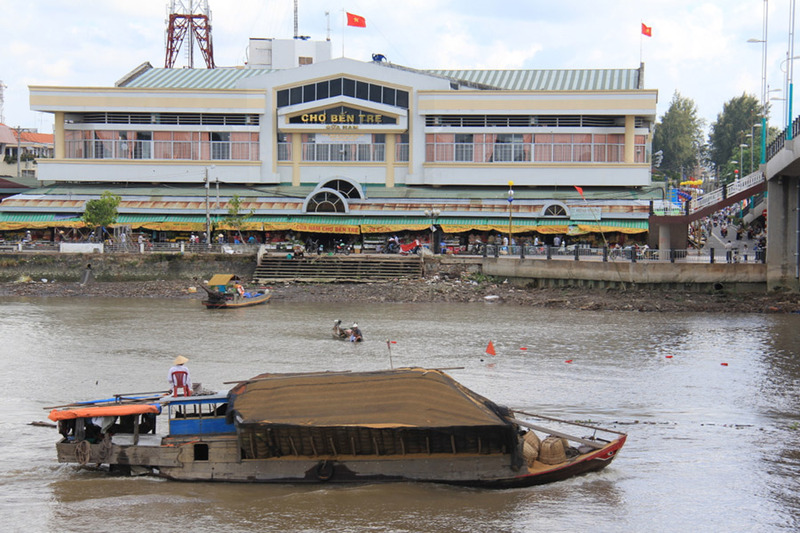 A bus from Vinh Long (1.5 hours, 50,000d/$2.50) took us to Can Tho, our last stop in the Mekong Delta. 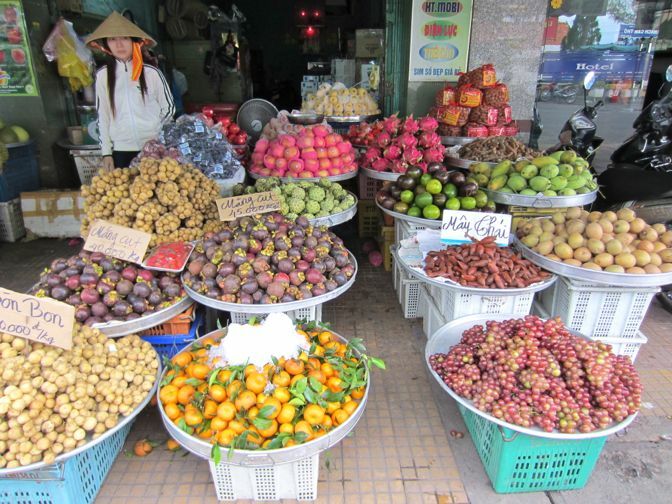 It is the fifth largest city in Vietnam so it’s nothing to be balked at and isn’t exactly a sleepy little Mekong town. These buses were not built for lanky white people. 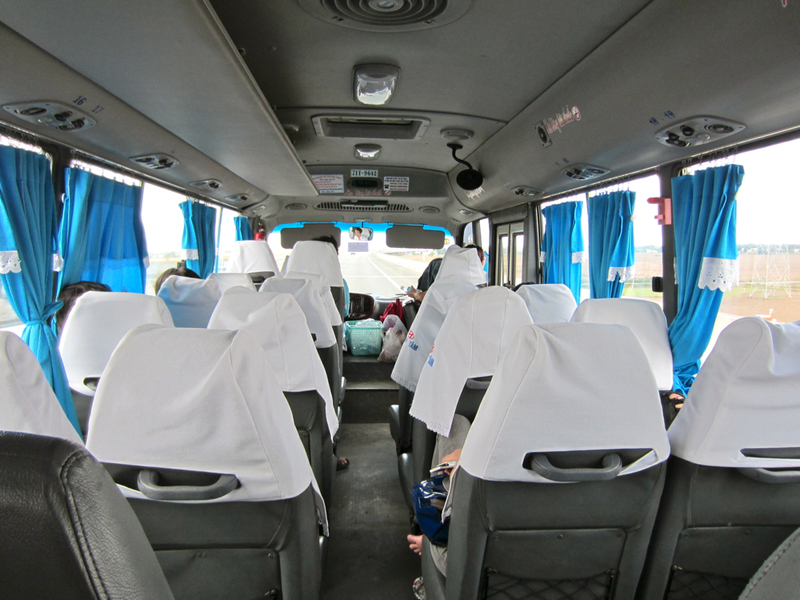 Coming from Ben Tre, we took Bus 8 from the bus station for a very reasonable 20,000d/$1. The bus had absolutely NO leg room. We piled our luggage on our seats next to us and hoped that no one would want to sit down there. We were lucky that Asian people never want to sit next to westerners on a bus. The bus was used for everything from cargo transport to school bus, and it appears that tickets can be bought or bartered for with pretty much anything, including motorcycle parts [disclaimer: this may or may not be true]. 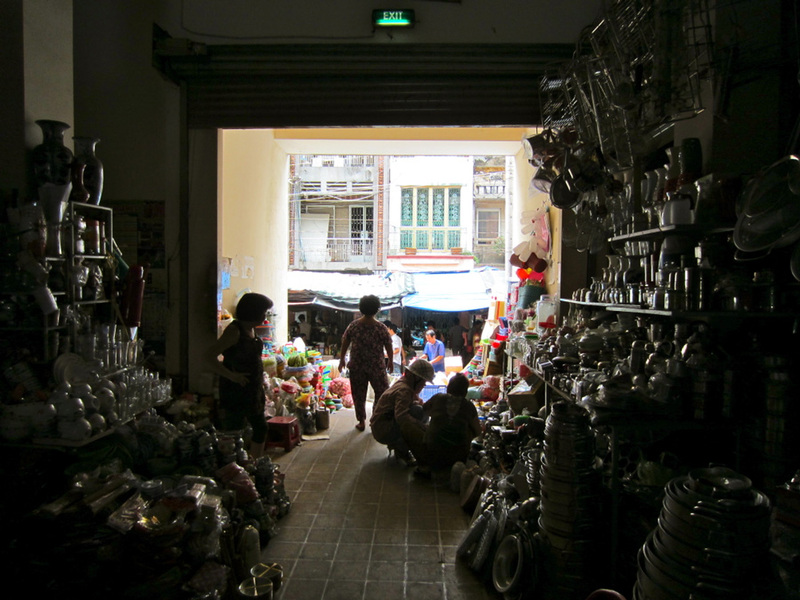 Having spent the last few weeks in the safety and comfort of Vietnamese beach resorts, we were a little nervous about venturing to Ho Chi Minh City. We pictured it as a huge, vast metropolis with billions of people milling about on their motorcycles in conical hats. We thought it would be dirty, and we thought the overpopulation of Vietnam would be felt here the most. Mui Ne, Vietnam: Resort to it. 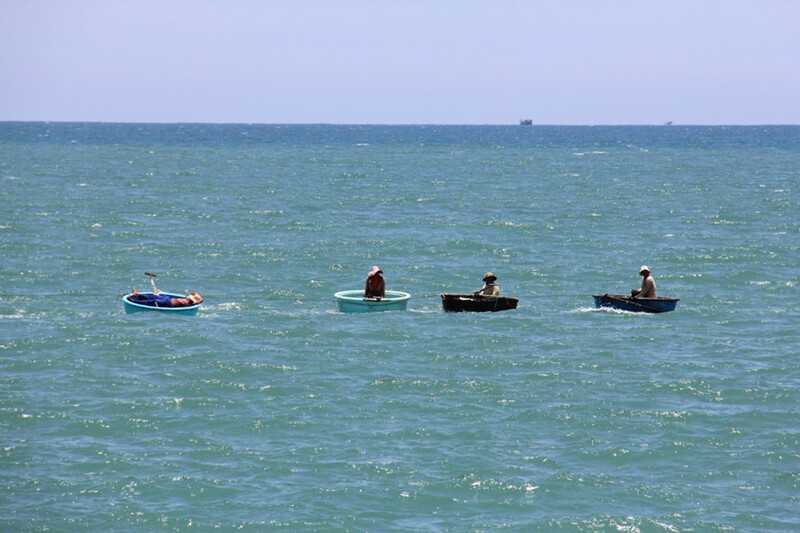 A row of traditional Vietnamese fishing coracles. 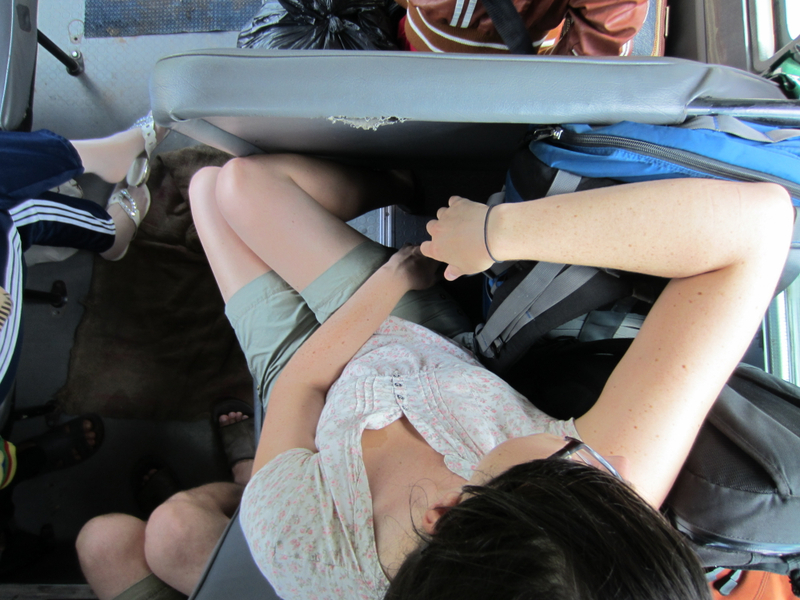 We left for Mui Ne from Nha Trang, taking a bus that we booked through our hotel. We usually book buses directly with the company to avoid the commission fee that hotels and travel agents charge, but we were having a hard time finding a bus ticket office. The only ones that we could find were sleeper buses (Sara’s worst enemy). The hotel hooked us up with Tan Hanh Travel (126,000d/$6). We found out that the bus’ ticket office is at 14A Tran Hung Dao and if we had booked directly through them, we would have only paid $5 for the ride (that’s a savings of 2 beers!). 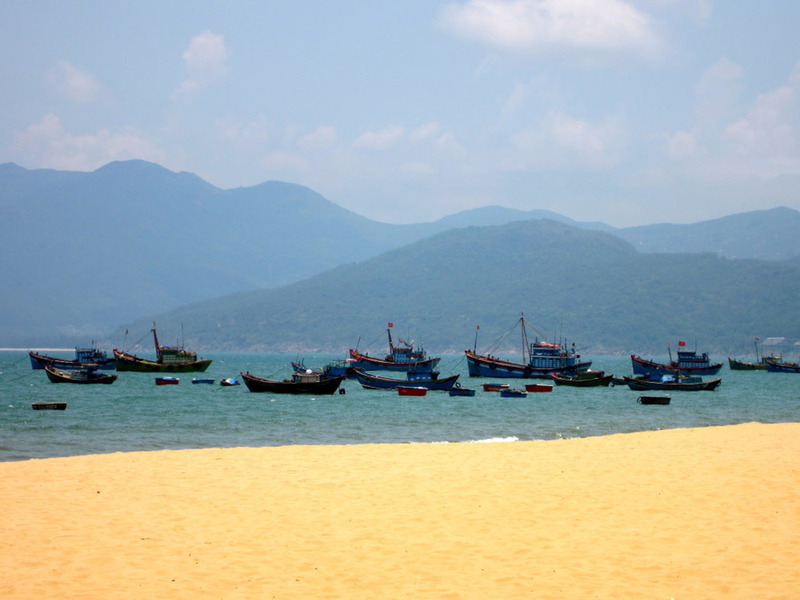 Fishing boats along Quy Nhon beach. 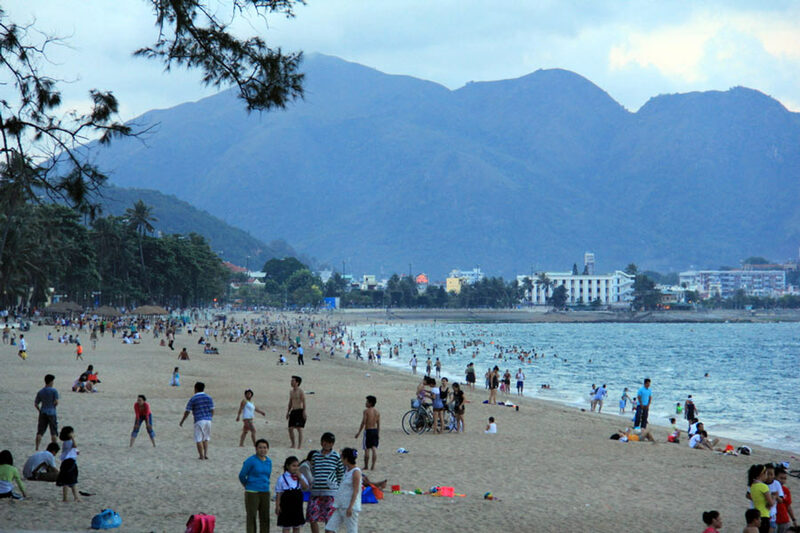 Quy Nhon, Vietnam doesn’t see a lot of tourists and it breaks up a trip from Da Nang or Hoi An to Nha Trang nicely. The train ride from Da Nang was about 6 hours long, cost 180,000d/$8.60 and took us to Dieu Tri where we had to take a taxi to Quy Nhon which cost the same as the train despite it only be about 10km.